A bright lighting is essential for exterior of the house, mainly at entrance door so that you can easily unlock the door of the house. Lighting at the entrance not only meets functional needs but welcomes every visitor of the house also. Here are some important considerations that must be kept in mind before you go to implement lighting for outdoor living areas. 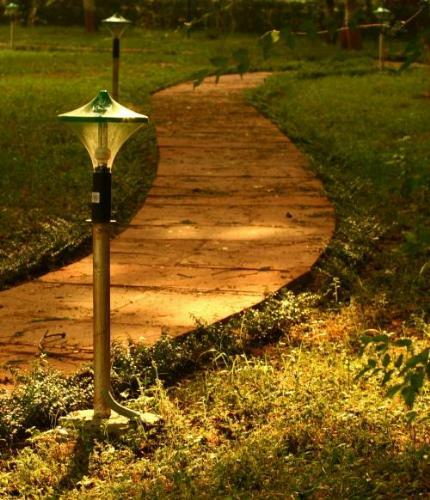 Begin the task along pathways and plan whether you need posts lights or fixtures along the way or at the entry only. Think if you want to set up outdoor floodlights elsewhere around the house. Usually these lights should be sited at corners of the house and in such positions as to light driveway area outside garage doors. The lights can also be fixed to light large areas of backyard for recreation in the evening. Decide on whether you want to have spotlights in front of the house to display countryside etc. Imagine the locations for ornamental lighting fixtures for the house. Normally a fixture is placed outside each door (often two- one on each side). Keep in mind decks and patios where you indulge into an outdoor entertainment. Which type of lighting you want to implement and whether you want to combine post lights and additional decorative fixtures with flood lights for greater illumination. Consider about lighting around swimming pools if you have or you can install lights under the water. Think whether you swim into the pool at night or simply make use of surrounding patio. 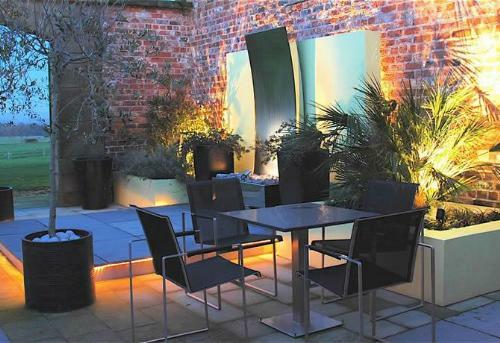 Go for task lighting for outside works like grill service or outside storage area. Make a decision for the place where you want to install switches to control various exterior lights. Switches can be located where you need to turn the lights on or off, so there may be multiple switches for some lights. Imagine if you want some or all exterior lights set on a timer. Think about fixtures whether you want those to be triggered by light sensors for the lights go on automatically at night. 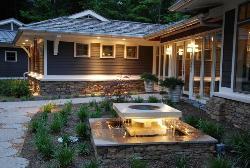 Provide a list of all exterior lighting to be installed to the electrician employed for the job. Before you go to install exterior lighting of the house you should keep in mind the following tips. Climate of the area you live in. Lighting plan that meets functionality of the house. You can discuss the plan with your electrician or hire a professional lighting designer. Curve ceiling lights looks beautiful.